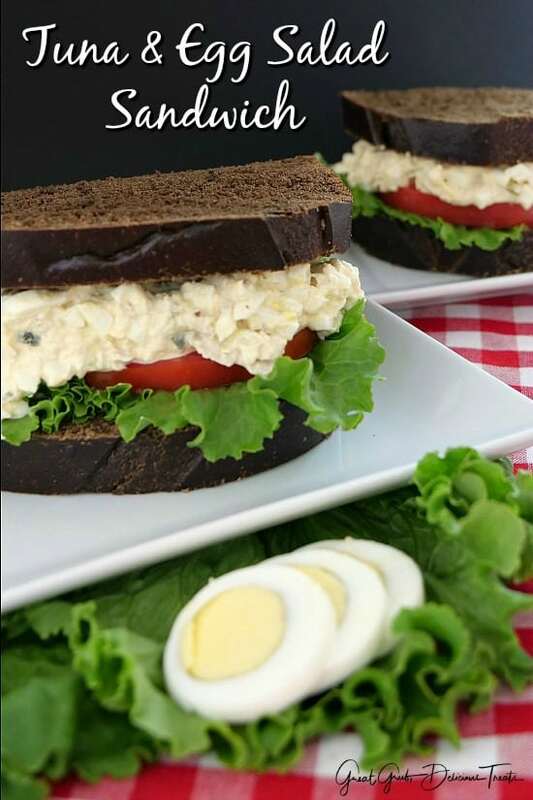 This tuna and egg salad sandwich is a family favorite and a sandwich I grew up on. My mom use to make these sandwiches for us kids all the time. 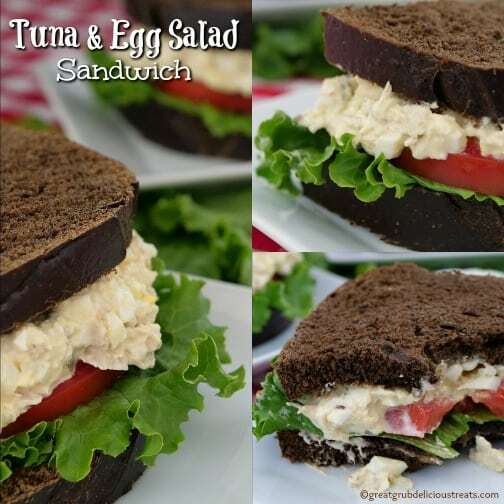 Because these are so tasty, I’ve carried on the making tuna and egg salad for my family as well. If you’ve never tried the two mixed together, you have got to try tuna mixed with hard boiled eggs, along with dill relish and chopped onions. Super yummy! 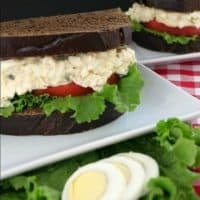 If you love tuna fish sandwiches and you are a lover of egg salad, you cannot go wrong with this tuna and egg salad sandwich recipe. The combination of the two tastes great mixed together. Super delicious and then served on your favorite bread topped with a juicy sliced vine ripe tomato and crunchy crispy lettuce, definitely a sandwich that will be made time and time again. I remember when I worked with some of my favorite people ever, we used to have potlucks at work all the time. On the night shift, it wasn’t as busy as the day shift and on any special occasion, we had a potluck. And we had many potlucks over the years celebrating everyone’s birthday and what not. Well, one night I told my dear friend, Ruben, that I was going to make these sandwiches and he needed to try them. Ruben was skeptical but agreed and he loved them. So not everyone knows about mixing egg salad and tuna together then adding dill relish and onions to make a delicious tasting sandwich. Seriously, as a kid, this was my favorite sandwich ever. Definitely a kid friendly sandwich. 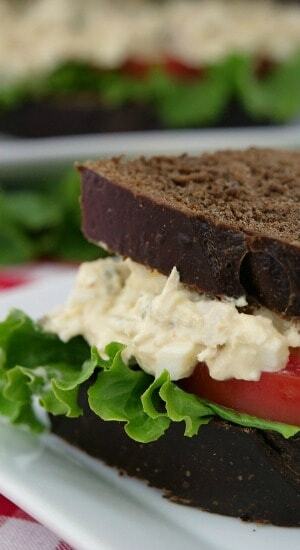 And the good thing about making this sandwich is you can have more tuna fish or more egg salad depending on your likes. Just change the ingredients a bit like maybe 6 hard boiled eggs with 2 cans of tuna. 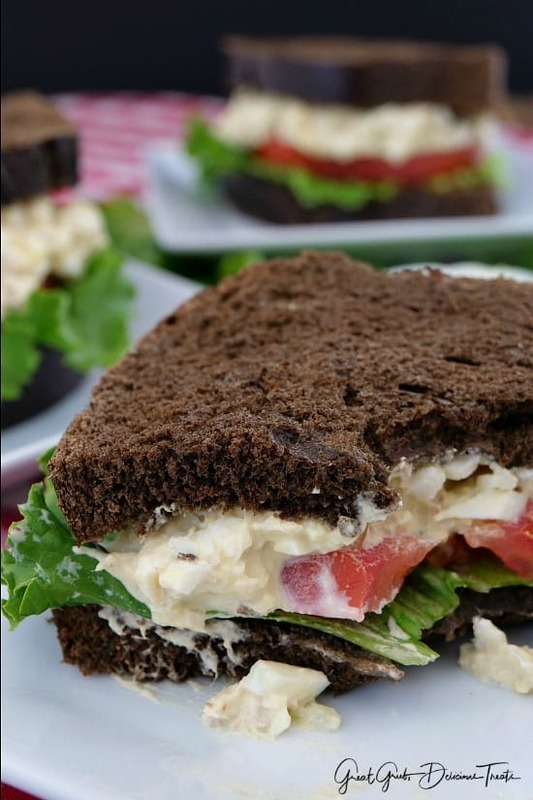 A super easy sandwich recipe that is perfect for picnics, potlucks and family gatherings. This is an easy recipe and is great to make ahead of time. Just store the tuna and egg salad in a container, keep it cold and then when everyone is ready to for lunch, stir it one more time, and make the sandwiches. 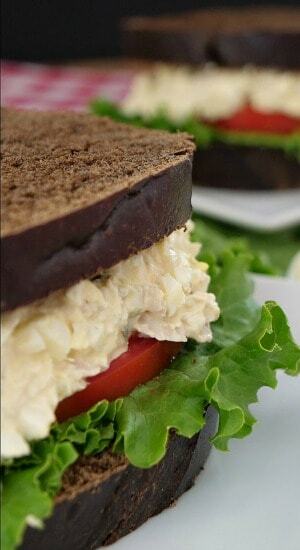 No soggy bread and like I mentioned, these tuna and egg sandwiches are perfect for any get together. I am seriously wanting this sandwich again. 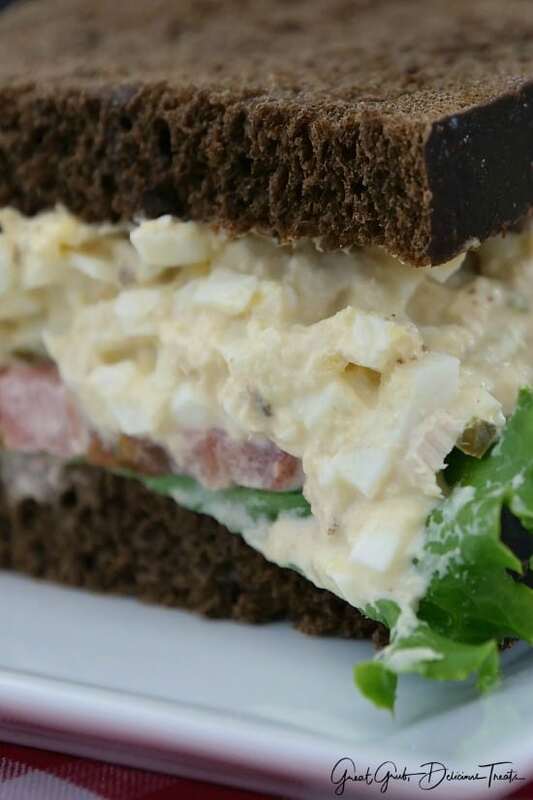 Just writing this post is making me crave a tuna and egg salad sandwich. 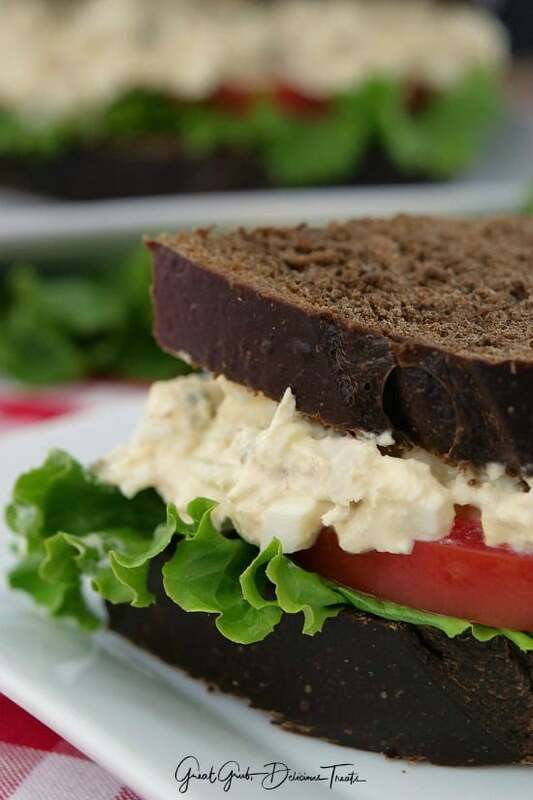 We hope you enjoy this easy sandwich recipe as much as we have. 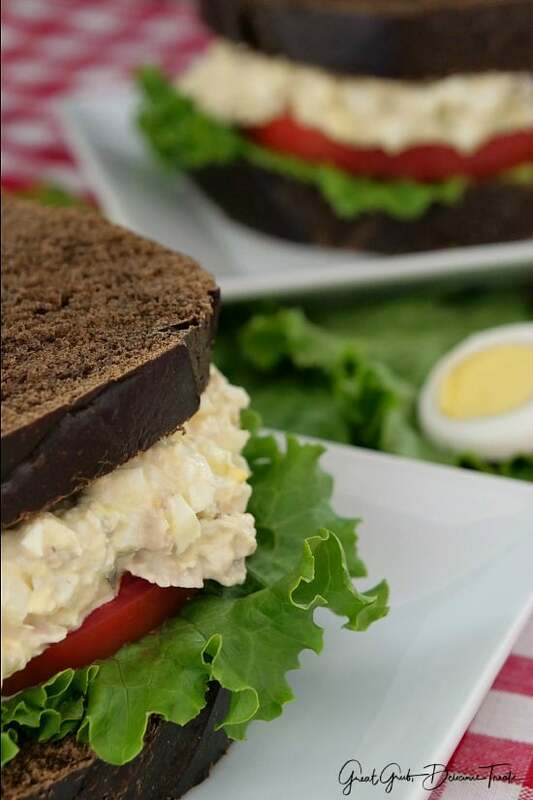 As I’ve said before, this is a delicious family favorite recipe we grew up on and one of the best tuna and egg salad recipes. Here are a few more delicious sandwiches on the blog: Fried Egg Grilled Cheese Sandwich, Chicken Cordon Bleu Grilled Cheese, Crispy Veggie Sandwich, Beefy Torpedoes, Meatloaf Panini, and this delicious Cheese Toast Bacon Grilled Cheese, plus many more delicious recipes. Boil eggs. Once cooled, peel and chop. Place into a medium mixing bowl. Drain tuna and add to mixing bowl along with the relish and onions. Add mayonnaise until desired consistency is obtained. Add to your favorite bread and garnish with lettuce and tomato. Enjoy! Egg is the most healthiest and tasty food. I love the way you used egg salad. Definitely, I will this sandwich. The sandwich looks good. What kind of bread was that in the picture?